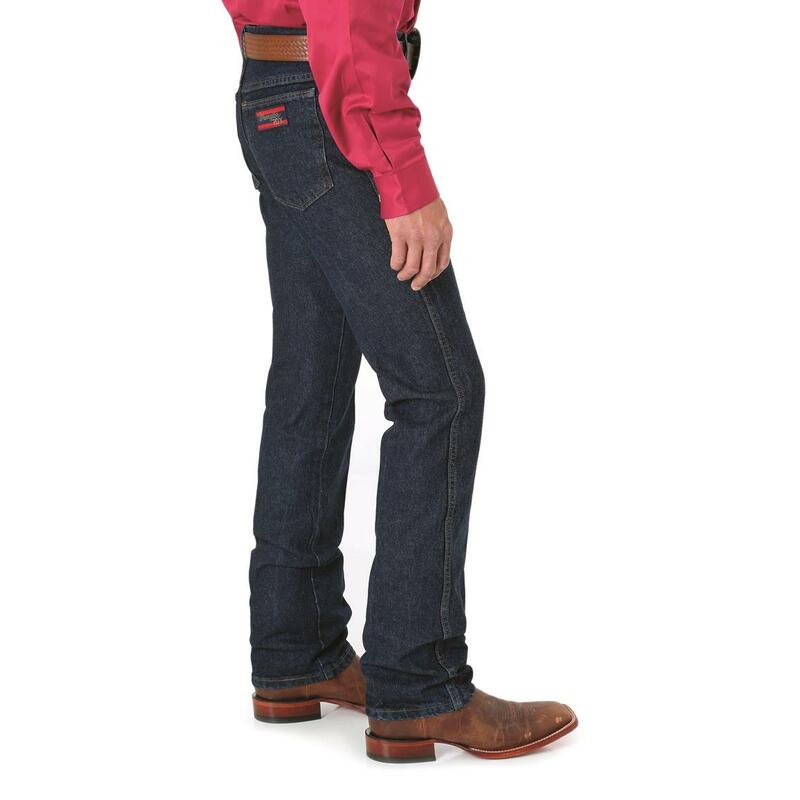 Get "unstoppable cowboy style" in a slim fit with these 20X® Jeans. They're every bit Wrangler® in rich Stone Dark Denim. 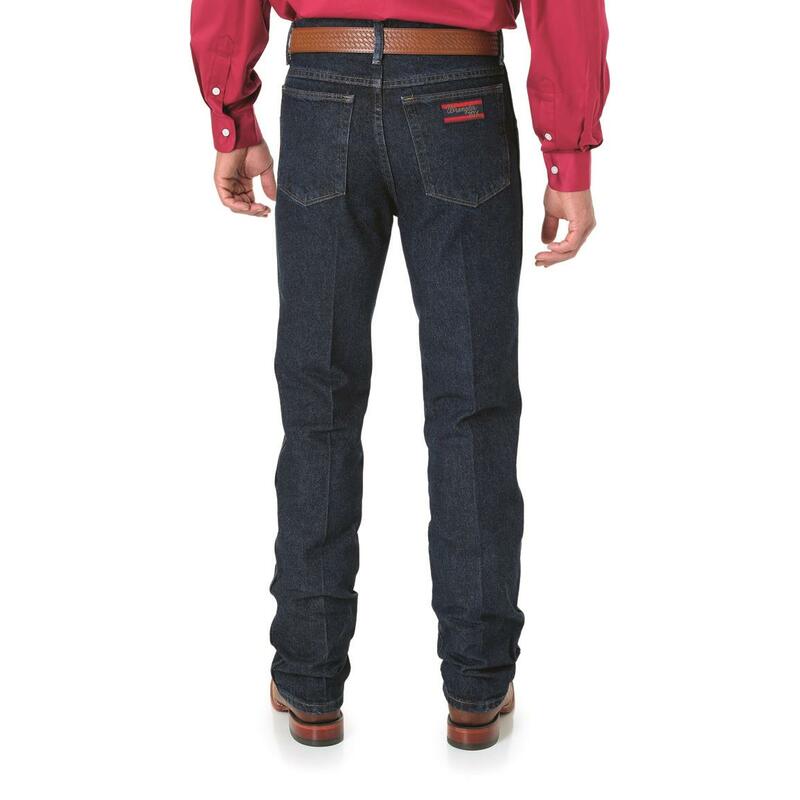 And they come in a slim fit that won't get you in a pinch and a tapered leg you can still get over your cowboy boots. 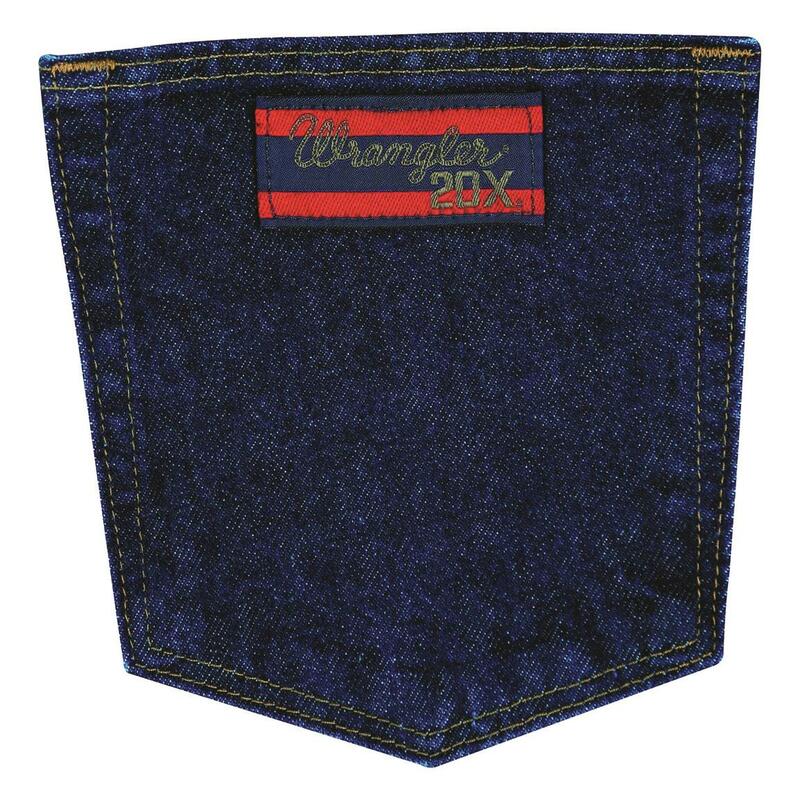 Order these #25 Wrangler Jeans and get them sent right to you! Wrangler Mens 20X No. 25 Slim Fit Jeans is rated 4.4 out of 5 by 14. Rated 5 out of 5 by Diane the dog mom from They fit I have a hard time finding jeans that fit me well. I am tall and thin. And I like these because they are dark blue denim and hold up well. Rated 4 out of 5 by Garrapata Red from Great Jeans, Questionable Marketing Finally....a higher rise pair of jeans with tapered legs...done right. How long have I been waiting for these? Well executed....EXCEPT.....please dump the rather large, bright embroidered logo on the rear. It's just...tacky. I feel like I'm wearing a license plate on my backside. If you had standardized on the stylish but understated rear pocket design from the No. 27, this would be a perfect pair of jeans. Rated 2 out of 5 by tidepride from Too Long Buyer beware ! The jeans are in fact made of rugged material, but are way too long. Too long unless you are wearing extremely "stacked" shoes or boots. In my estimate, they are approximately 1-1/2" too long which, in turn, make the leg too baggy by pushing material back up the leg. 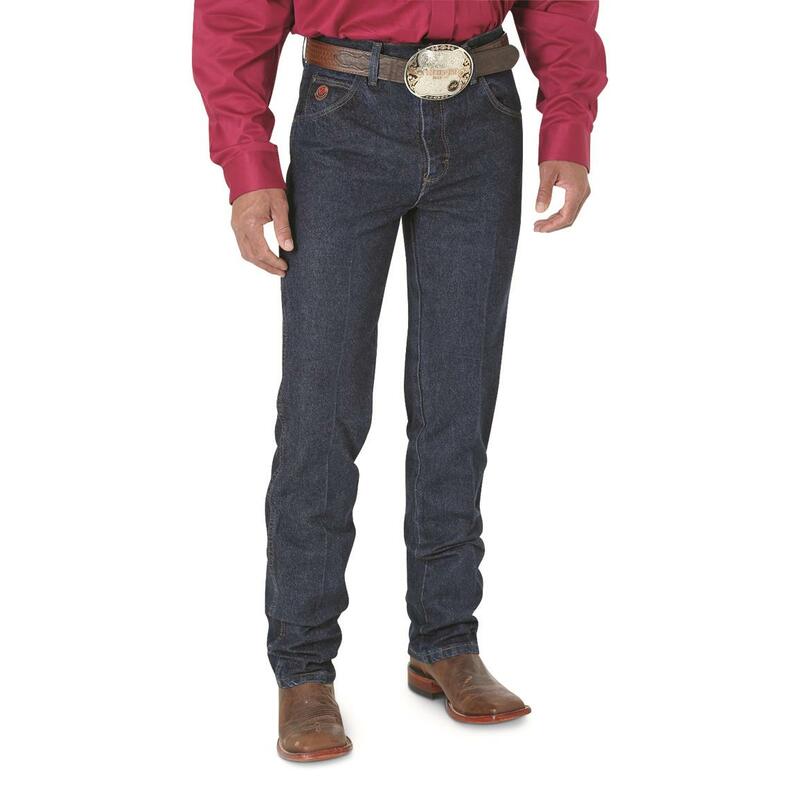 I have purchased many other styles from Wrangler, and this style I must say, is the worst fitting. Rated 2 out of 5 by JCK1946 from Quality fabric, well made Advice to all you tall thin men, these jeans advertised as slim remind me of the Field Pants I wore in the Army, oversized and baggy. I'll continue my search for jeans that fit.